Primates exhibit a strong proclivity towards sociality and social group living. Some argue for a specific pattern of social cognition as a core adaptation for the primates. Modern monkeys, apes and humans all live in some form of social networks or communities, suggesting that our last common ancestors also lived as such. Sociality is a crucial part, possibly defining part, of our adaptive strategies. This paper will explore the evolutionary implications for primate cognitive ability as a mechanism for niche construction and human evolutionary success. In humans enhanced cognitive capabilities, extra-somatic manipulations of the environment, and enhanced communicative abilities has enabled our genus to successfully exploit myriad social and structural environments across space and time. Additionally, our extended period of infant development (cognitive, motor, social) necessitated increasing support from group members throughout our evolutionary history. The interactions between our central nervous system and our social and physical environments have demanded increased complexity and connectivity in our social networks, relative to other primates species, in which information about the habitat, food, predator detection, and infant care are disseminated. Here we discuss how the intersections of environment, culture and biology have deep tangled roots in our lineage and how comparative phylogenic and behavioral data from other primates can illuminate the complex interweaving of the social outcomes of our cognitive abilities. Examples from our phylogenic history, as well as from the living nonhuman primates effectively expand on reductionist explanations of variable patterns of social and cognitive complexity. I’ll profile Katie here, with Agustin in this post. First off the great shot of Katie comes from Costa Rica, where she works with capuchin monkeys. I had the pleasure of watching capuchins in the Colombian Amazon – if I had to pick a species to study, this could be the one! They were magical as they jumped through the trees and chattered among themselves. 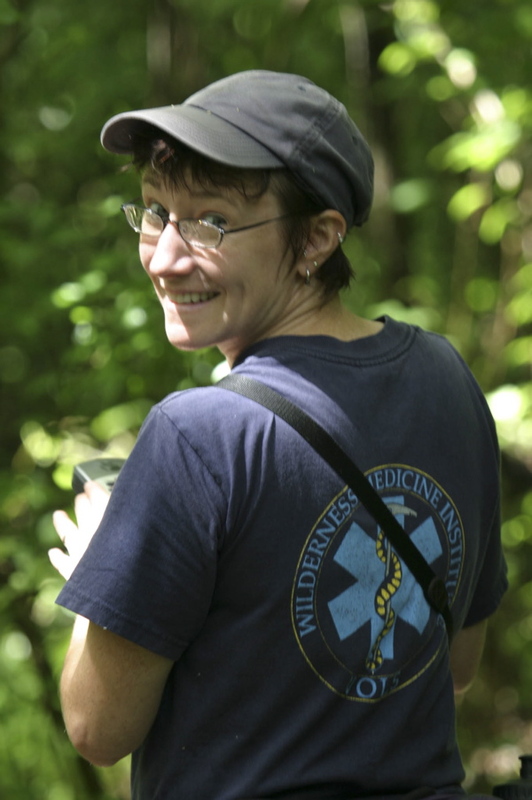 Katie is a biological anthropologist at Saint Louis University, and has focused on primate social behavior since she started fieldwork in Central and South America in 1992. Her current work focuses on the social behavior and development of wild infant and juvenile capuchin monkeys – those cute baby monkeys that get lots of awww… But she is also deeply concerned with conservation efforts, in particular how primate communities interact with local human communities. Katie has done much of her recent work in Suriname, where in addition to her capuchin interests, she is also concerned with the responsibilities (such as giving back, helping local economies, and educational efforts about the forests) that field primatologists, usually non-local, have to the local human communities in which they work. 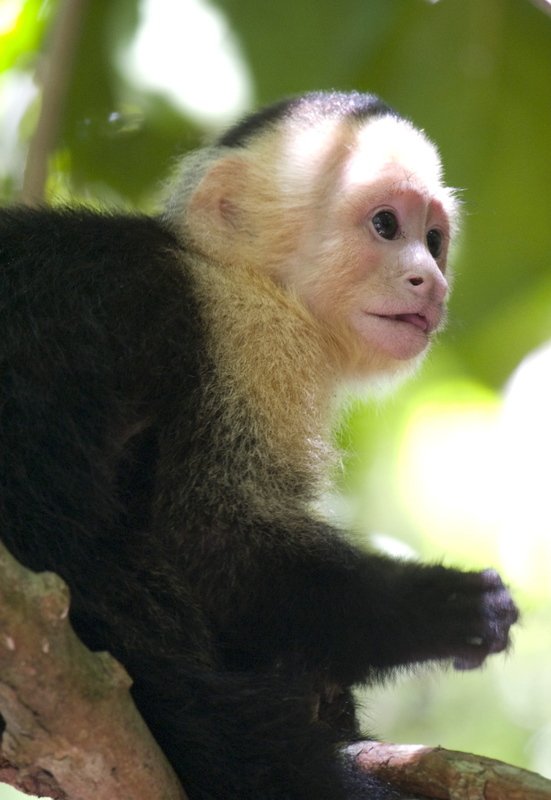 Thus, besides primate behavior in itself, work with capuchins reflects in two ways on people – insights into ourselves as primates and pressing issues of how we relate to our environment, including the wonderful creatures that share their lives with us. Specifically with neuroanthropology, if we now see the brain as more plastic and accept arguments like Andy Clark’s about the extended mind, then we need to understand how our brains and the functions therein (thereout?) evolved. We are social creatures, and primates place our claims of cognition in context. Katie just co-edited the great compilation Primates in Perspective, which won the CHOICE Outstanding Academic Title for 2007. Why? Because it provides a comprehensive overview of primatology from the best researchers in the field. Katie also helped establish the Midwest Primate Interest Group (MPIG), along with colleagues (including Agustin) at Washington University-St. Louis, University of Illinois Urbana-Champaign, and University of Notre Dame.